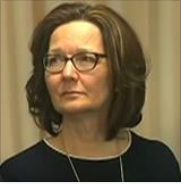 In a new wrinkle, Ray was asked by America, the Jesuit weekly, to do a short article on Gina Haspel before Wednesday’s hearing on her nomination to head the CIA. First, Ray sets out to disabuse America readers of the notion that “torture works.” He then delves into the moral implications and hits so close to home that the editors end up withholding an imprimatur to protect one of their own. Actually, the whole thing is really sad — you might even say scandalous. ← Ray debates: “Is There Anything to Russia-gate?” At invitation of Tom Woods, Ray, on May 2, 2018 debated David Pakman, who produces his own radio show. Fact and fiction discussed at some length. Worth a listen.